In the cramped corners of Patan, Gujarat, Popat Lal (30) and Ramila Ben (25) live in a haphazard structure made of mud bricks. This is what is left of their house. They lost the cattle and the land is ruined. But the family is less worried about where they will stay. They are more devastated because now there is nothing left to save their 1-year-old son who is a heart patient. The land and cattle were the last resort. 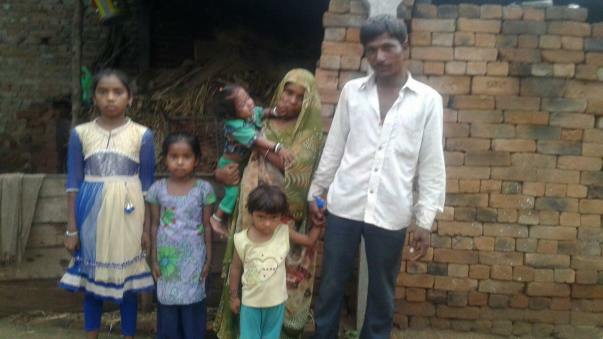 Labourers by profession and parents to four kids, they led a simple life. But when their fourth child, Devji was diagnosed with a heart disease, their lives steered into some unexpected struggles. Right after Devji was born, the doctors diagnosed him with certain complications of heart but his parents were not communicated with the same. 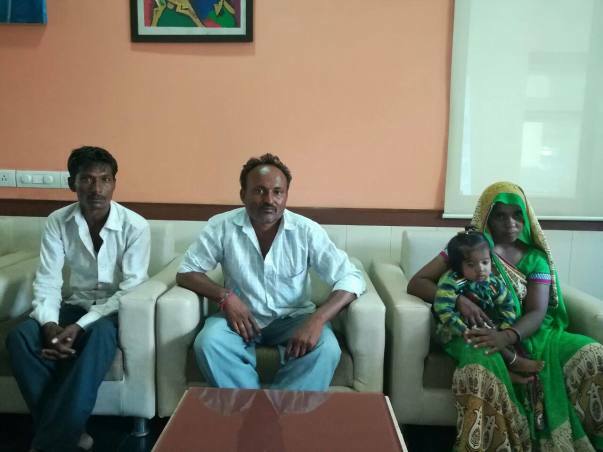 For next three months, their son suffered from shortness of breath and cold hands and feet. Concerned about his health since he was born, the parents then decided to consult some other doctor. "The doctors carried out certain tests and told us our son has some problem in his heart and that he requires an urgent heart surgery. We are poor people, we don't understand much about hospital and diseases. All we know is that we want to save our son and we have to arrange money required for his operation", said his father. 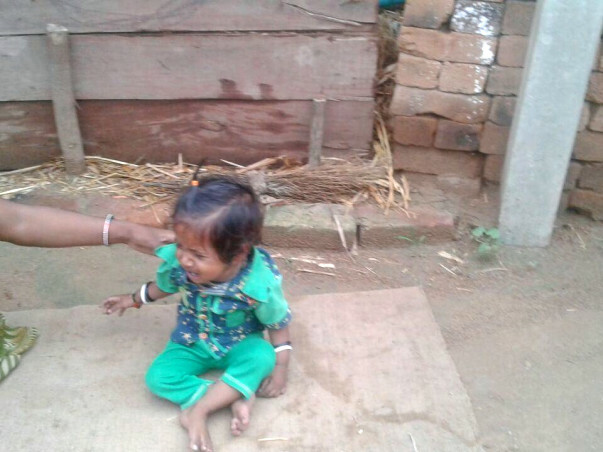 1-year-old Devji is suffering from cyanotic congenital heart disease. The child needs open heart surgery. The parents earn upto Rs. 150 per day. With such meagre means, the family is finding it difficult to arrange for their 1-year-old son's life-saving treatment. They have been trying to arrange the money ever since they got to know about his condition. 6 months down the line, they have absolutely nothing. After the floods, they don't have anything to sell. On most days they don't even have Rs. 400 to spare. 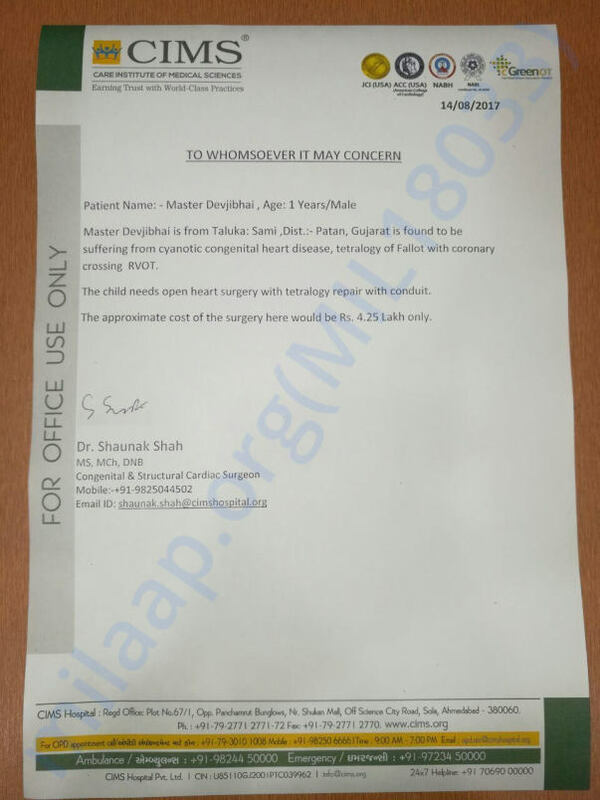 It is impossible for them to arrange 4.25 lakhs for the surgery. This little boy can be saved with our support. The family has lost everything they ever owned, they cannot bear to lose their son. Funds raised through this fundraiser will go towards his treatment.